On Saturday night/Sunday morning, after the Paschal Divine Liturgy, baskets will be blessed, the fast broken, and food shared, in the Parish Hall downstairs. Please bring meats, cheeses, dairy and any other foods you have fasted from during the Lenten Season. Remember: we will not be turning on either the stove or range-top. Do not bring foods that need cooked or heated. Volunteers who are willing to stay and clean up afterwards are welcome! Tuesday nights from 7:00 - 8:30 pm, Joshua Laurin will be presenting a course on the "Introduction to the New Testament." Joshua is a graduate of Holy Trinity Orthodox Seminary (ROCOR) in Jordanville, New York. Course will take place in our new conference room. Please enter through the hall door entrance prior to 7:00 pm. Hall door will be locked at 7:00 pm, so you will have to text a participant to enter after that time. Classes will begin each week immediately following the reception of Holy Communion and will continue 10 min. into Coffee Hour. Please encourage your children and grandchildren to attend. Your choice will make a lifetime of difference! The Central aim of Christian education in our Church is to evoke and nurture faith in Jesus Christ according to the Orthodox phronema (vision) out of which issues a genuine Orthodox way of life. The Church nurtures a living awareness of the risen Christ in our midst, who is the true Celebrant of Sacraments and the true Teacher of His people, and makes Himself known to use by the grace of the Holy Spirit. 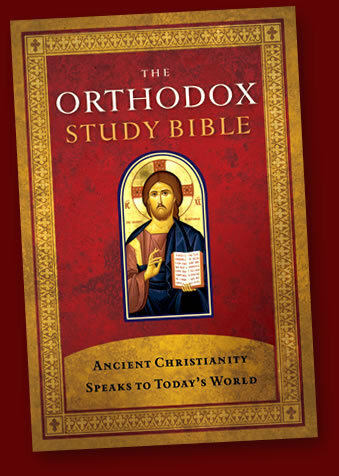 The whole range of Orthodox educational material- books, filmstrips, visuals, Bible Studies, lives of Saints, contemporary discussion of Christian values- becomes effective to the degree that communicates the love and sprit of Christ. The focus of our efforts to educate our beloved children in the Orthodox Christian Faith must remain in our Sunday School program. When we bring our children regularly to Sunday School, we provide them with a gift of knowledge that has lifelong value and significance. Christian education is an essential and abiding ministry in the Church. As other important ministries, it is never finished. It can be as vital and meaningful as the whole body of the Church makes it through provision of adequate personal, spiritual and financial resources. At St. John the Divine, Sunday School begins immediately after Holy Communion. Parents: Bring your children to Sunday School. Your personal example and involvement in the religious education of your children are extremely important. The priest and teachers cannot do the job alone. Here is how you can help develop the spiritual life and moral upbringing of your children. Register your child to our Sunday Church School Program. Bring them to Church on time. Stay and worship at the Divine Liturgy in the Church. Discuss with them what they learned each Sunday. Teach them to bring their weekly stewardship offering. Give your personal example of Christian living. Emphasize regular repentance and Holy Communion. Put Church before every other activity on Sunday. Let your love for Our Lord Jesus Christ radiate. From the Church Bulletin: St. Athanasios Greek Orthodox Church, Paramus, New Jersey.